The Lleyn ewe is not a crossbred, but an indigenous pure breed originating in the Lleyn Peninsular of North Wales. Flocks were traditionally milked for cheese, with the lambs sold early for the spring trade, and generations of natural selection for these traits has produced a prolific milky ewe. 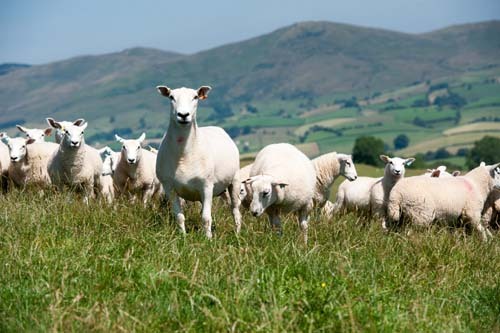 Due to its remoteness from the markets the Lleyn sheep was in danger of becoming a rare breed in the 60's, but word of mouth and flock performance monitoring has generated amazing progress over the last twenty five years. MLC (now SIGNET) recorded flocks regularly show lambing percentages of 200% combined with good growth rates. The lively lambs have good wool cover at birth, enabling them to survive in commercial flocks under hard conditions. Lleyns are now proving their worth throughout the UK, both in lowland farms and also on exposed land rising to over 300 metres above sea level. The Lleyn has a tight skin, with fine dense medium length wool, its Welsh origins requiring a water repellent fleece. This wool quality contributes to both hardiness and the pocket, since the pure white fleece does not carry the natural faults of red, grey or black fibres, assuring a good wool price. 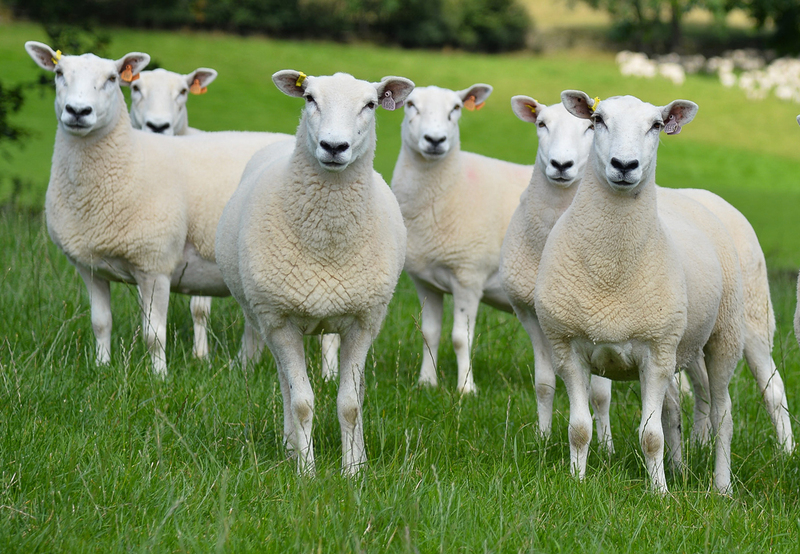 One of the outstanding features of the Lleyn is its ability to simultaneously produce both quality prime lambs and pure or half bred commercial ewes. This rare benefit offers the commercial farmer the facility to run a closed nucleus flock from which he can breed replacements and thus reduce costs and maintain a disease free flock. Today's buyers in both market and abbatoir demand top conformation from prime lambs. That extra shape cannot be produced from the terminal sire alone. Some of it must come from the ewe and this is where the Lleyn has convincingly proven her worth. Why choose the Lleyn breed? This ability to thrive on low inputs, yet produce top quality lambs has never been so important. The lleyn ewe at 65 to 70 kg is the ideal size for a 40kg-finished lamb. Larger ewes eat too much, and smaller ewe's lambs fail to weigh. Lleyn ewes give the highest weight of lamb per hectare. The Lleyn lamb is a good grazer, but does not run to fat and finish too early. Lambs can be finished on grass in the summer or held back as stores through to the new year. In today's volatile market, this option can make the difference between loss or profit. Costs can be further reduced and the health of your flock assured by breeding your own replacements. The first cross inherits the renowned mothering and milking ability of the pure Lleyn ewe. Ewe lambs will take the tup, and will go on to a long life, so that ewe depreciation costs are less. The Commercial breeders who run a nucleus Lleyn flock are full of praise for the breed. The universal comment is that she is the most easily managed sheep to keep, docile, a trouble free lamber, and a superb mother and milker. The Lleyn breed is renowned for prolificacy, and flockmasters who have kept them for years report the ideal lamb percentages per number of ewes tupped from 180% to 200%. A very high majority of Lleyn ewes will therefore produce and rear twins.